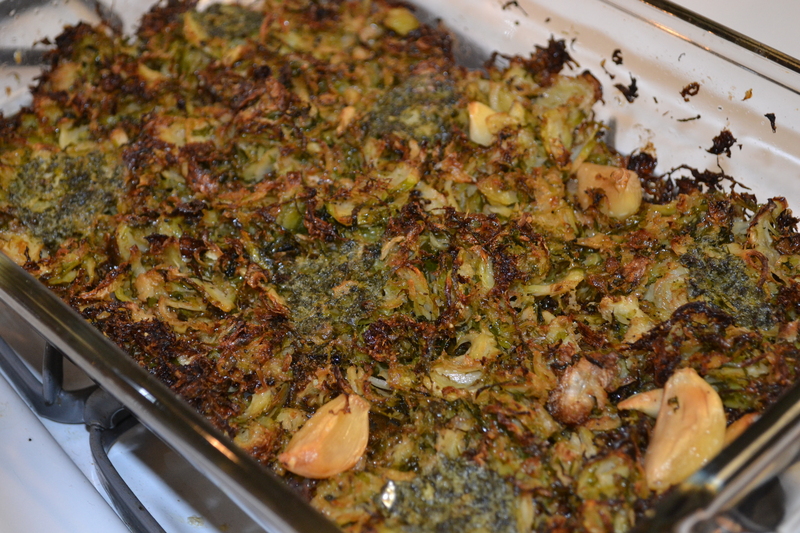 I am obsessed with brussels sprouts. Ob-freaking-sessed. One of my favorite restaurants here in San Diego (http://www.searocketbistro.com/) has a shredded brussels sprouts side on their menu that is To. Die. For. (also, a grass fed bacon jam burger too). This inspired my dish, although I altered it slightly. 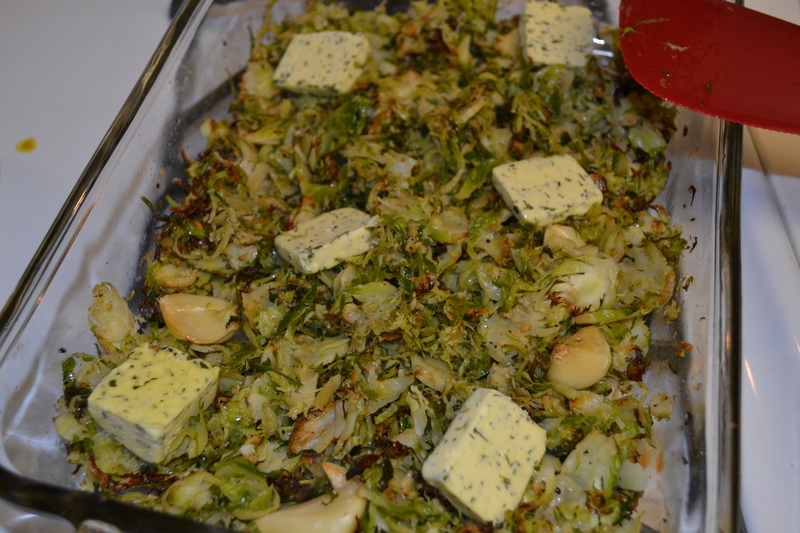 I dumped the bag of shredded sprouts in a glass baking dish, drizzled just a bit of the garlic macadamia oil, dash of salt/pepper and then tossed to coat really well. It does not take very much oil at all. Then I freshly grated just a little bit of gruyere cheese on top and tossed that in. I love roasted garlic, and it is so beneficial for health, so I took a handful of whole cloves and sprinkled them on top. I put this in the oven at 425 degrees for about 15 minutes (shredded cook much quicker than whole! ), and when it started browning/crisping, I took it out, and placed 6 thin slices of Kerrygold garlic herb butter on top, and then put it back in the oven for another 10 minutes or so. Next time, I’ll make without the cheese, but I had a small piece of a wedge that needed to be used. I will add even more whole garlic, too 🙂 This recipe was tossed together in roughly, 8 minutes?